Big night tomorrow night. Normally it is best to keep politics out of sports, however, this is just too funny and too juicy to ignore. First the facts. 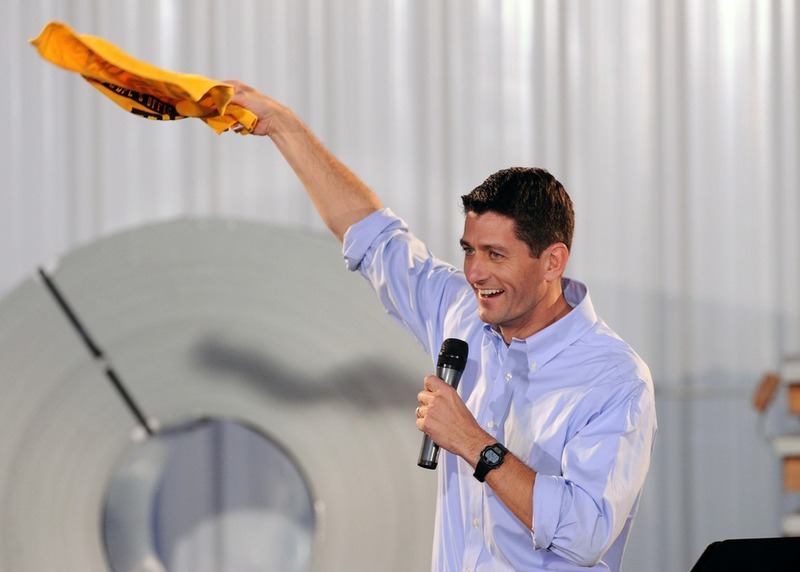 Paul Ryan is a much ballyhooed Packers fan. He is a Wisconsin congressman and a self-professed (at any available opportunity) Green Bay fan. 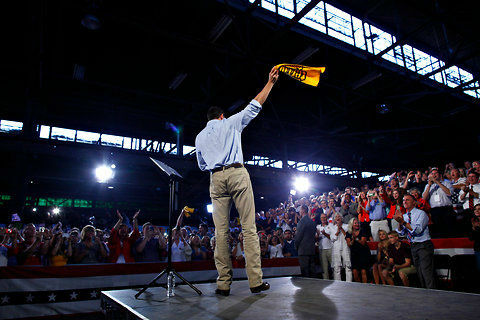 Ryan and his boss, Mitt Romney, have already shown they will twist any truth, flip any fact on their campaign trail, so it should be no surprise that Ryan, while campaigning in Pennsylvania, had no problem at all waving a ‘Terrible Towel’ for the Pittsburgh faithful in Carnegie. The stunt was very popular at the time, however, it would appear the good people of Wisconsin are not thrilled at all. "Packers fans don't wave 'Terrible Towels' any more than they'd get a tattoo of Mike Ditka or blow that annoying Vikings trumpet thing," said Mike Tate, chairman of the Democratic Party of Wisconsin. "Paul Ryan can call himself a fan of ending Medicare, but it doesn't look like he can call himself a Packers fan after this shameful episode." ‘Shameful incident’ might be a bit strong, however in full context that chairman quoted above would appear to be making that statement with tongue firmly in cheek. What is fair to say, however severe the incident, the image of Ryan waving the Terrible Towel shamelessly over his head is a potentially powerful image. Powerful enough for sure to remind some Green Bay fans that Ryan (and indeed Romney) will flip-flop on topics such as which NFL teams they support, without a seconds hesitation or thought. In football country, that’s a problem. Ryan is being torn to shreds by Packers fans on the usual social networking sites and NFL forums. It doesn’t seem to matter what stunts Ryan and Romney pull, their chances of winning the election would appear to be disappearing faster than Tyrell Owen’s NFL career. Last week most bookmakers had President Obama a very firm favourite at odds of 1/3 (meaning you would have to place $3 to win just $1). As Romney in particular has appeared to hop gleefully from gaffe to gaffe his odds have slipped further and further into the distance. Right now, this Monday afternoon, President Obama is 1/5 to win the election.